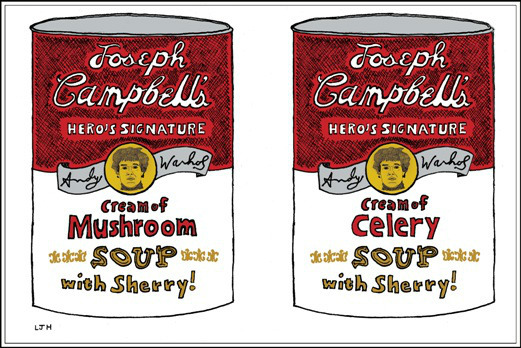 Campbell's Mythopoeic Soup, you say? Bound to be overly processed and loaded with sodium, says I. But don't take my word for it. Head on over to Black Gate for this interesting reflection. Oh, and to the commenter who noted that Campbell gets things wrong when he talks about areas he knows well, that's exactly how I feel when Campbell talks about the Judeo-Christian tradition.